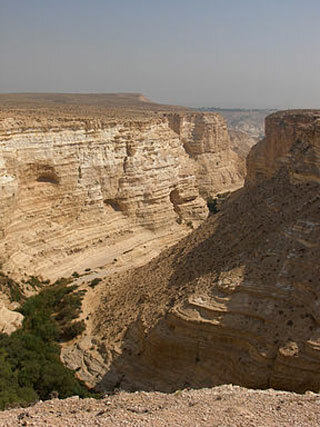 Ein Avdat is a spring and nature reserve in the Negev desert of Israel. As a water source in the middle of the desert, Ein Avdat has always attracted humans and animals. Nowadays it is a popular hiking spot due to the beauty of the steep canyon in which it is located. This article uses material from UNESCO World Heritage List article "Ein Avdat", which is released under the Creative Commons Attribution-Share-Alike 3.0 IGO License.